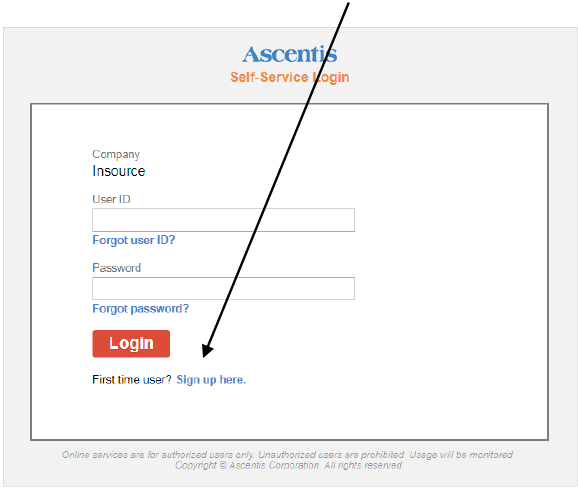 We are happy to announce our new Employee Self-Service (ESS) Portal! Employee Self-Service (ESS) will give you access to manage personal information, W-2's, ACA 1095's and paystubs which means the elimination of some paperwork and better efficiencies for all of us. You will be taken to the Login-Verification screen. You need to enter your legal first name, legal last name, date of birth and SSN. Please note, your legal name is the name that appears on your paycheck, enter your date of birth with the slashes (01/01/1990) and your SSN must contain dashes. 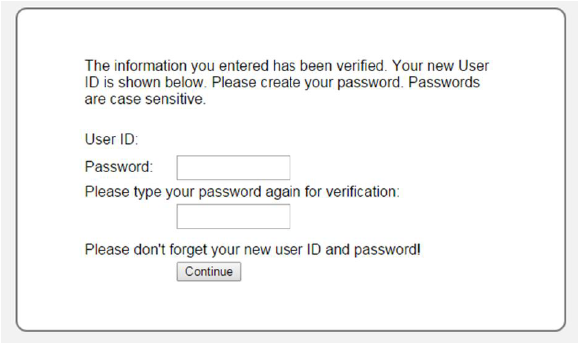 Click on Verify, and you will be taken to the next screen, where you will choose your password. Passwords can be letters and numbers, but not all letters or all numbers and cannot contain special characters like * or #. It must be a minimum of 8 characters and will never expire. 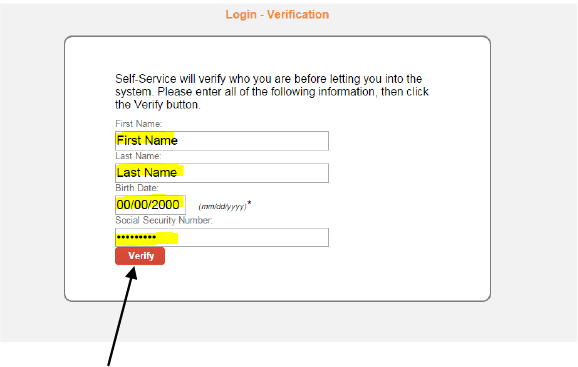 Your user ID will be shown on the below screen after you have successfully verified your identity. Please make a note of it. Select Continue to enter ESS! Once you have logged onto ESS, please take the time to review the information to ensure we have your correct personal information. It’s also a good time to enter updated emergency contact information and your current email address. Most information you’ll be able to change and save, eliminating the need to submit paperwork. This system is available to you anywhere you have access to the Internet, which should add a level of convenience allowing you to view and update personal information anywhere and at any time. Human Resources is also excited to let you know that throughout the year we will be implementing even more features to the ESS system. This is for you! Go ahead…check it out!